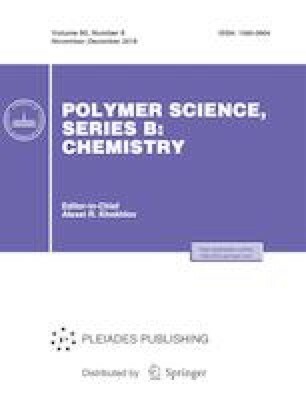 Supplemental activator and reducing agent atom transfer radical polymerization (SARA ATRP) of methyl acrylate was successfully performed in inexpensive, eco-friendly polyethylene glycol solvents and catalyzed by a mixed sulfite/CuBr2 system at room temperature. The presence of polyethylene glycol in the reaction mixtures allowed fast and controlled polymerizations throughout the whole reaction time. Remarkably, a fast polymerization can be achieved with a monomer conversion reaching 90% in only 50 min using PEG 200 as the reaction solvent. The controlled character of the ATRP of methyl acrylate was confirmed by the linear increase in molecular weight with monomer conversion, the narrow molecular weight distributions (Mw/Mn = 1.15) and the results of chain extension experiments. 1H NMR analysis also confirmed the molecular structure and chain-end functionality of the obtained polymers, and the effects of PEG molecular weight and inorganic sulfites on the polymerization behavior were investigated. This work was supported by the Natural Science Foundation of the Anhui Higher Education Institutions of China (KJ2016A059) and the Youthful Science Foundation for the Talents of Anhui Polytechnic University (2017YQQ003).